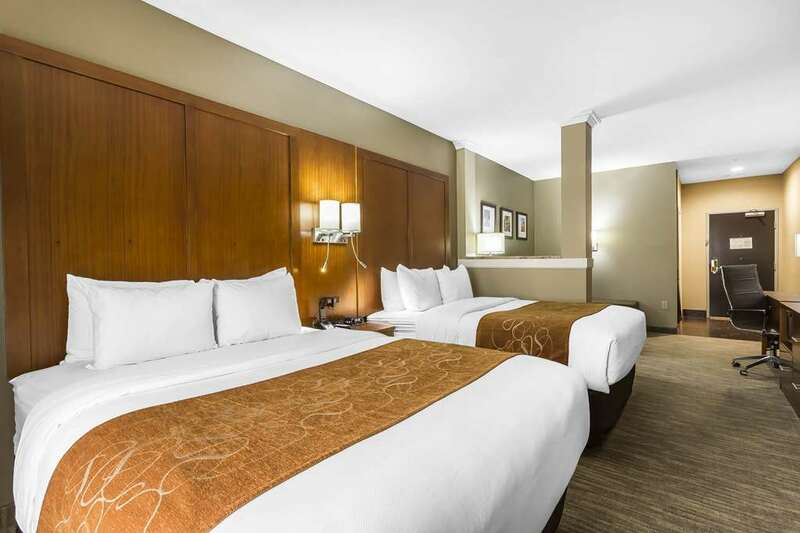 The non-smoking Comfort Suites University hotel in Lubbock, TX near Texas Tech University has all the essentials you need to stay on your game and be your best. We are near everything Lubbock has to offer including museums, entertainment, wineries, the United Supermarkets Arena, Depot Entertainment District and Buffalo Springs Lake. Amenities include free hot breakfast, free WiFi, an indoor heated pool and hot tub, business center and fitness center. Earn rewards with every stay with our Choice Privileges Rewards program. No Pets Allowed.